Summer is often a time for playing outside, soaking up the sun, barbequing, and … babies! According to the CDC, July and August have the highest birth rates. As a new father I know there is plenty to prepare for when expecting a child – from buying the right car seat to designing the nursery. Form a Baby Budget. Review your current budget and add estimates for diapers, food and other newborn necessities. Also consider how much you’re going to be earning during paternity and/or maternity leave; having a general idea of monthly expenses and income will result in more effective planning and can even help you account for unexpected expenses. Understand Your Health Insurance. It is important to have health insurance in place to cover the delivery and post-natal care. Know exactly what your policy covers and don’t hesitate to reach out to your provider if you have questions. Consider adding life insurance too. Shop Smart. Where possible, utilize secondhand items or ask friends and family for hand-me-downs. Your baby isn’t likely going to care if he or she isn’t wearing the latest designer fashion. While it’s perfectly fine to splurge occasionally if your budget allows, the goal is to save that money for something that he or she will not quickly grow out of. Plan for the Future. Although college is almost two decades away for your little one, starting to save for college sooner rather than later is a smart way to invest in the future of your child. It may also be a good time to create or update your will to reflect the new changes in your life. The prospect of having children may seem overwhelming at first. But by strategically planning and preparing your finances ahead of time, you can enjoy this exciting time with your new bundle of joy worry-free. Anthony Paul is a Financial Advisor with the Global Wealth Management Division of Morgan Stanley in Denver. The information contained in this interview is not a solicitation to purchase or sell investments. Any information presented is general in nature and not intended to provide individually tailored investment advice. The strategies and/or investments referenced may not be suitable for all investors as the appropriateness of a particular investment or strategy will depend on an investor’s individual circumstances and objectives. Investing involves risks and there is always the potential of losing money when you invest. The views expressed herein are those of the author and may not necessarily reflect the views of Morgan Stanley Wealth Management, or its affiliates. 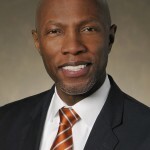 Morgan Stanley Smith Barney, LLC, member SIPC.